This week’s Mini-Make tutorial is so easy, making it the perfect project for beginner jewellery makers. 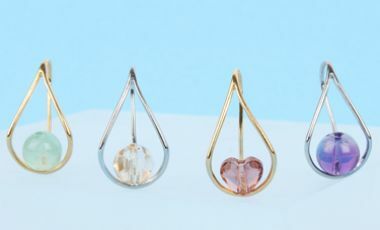 I’ve picked out the NEW drop earring findings, a delicate earring base with a post in the middle to showcase your favourite beads! Swarovski crystals and semi-precious beads are perfect for this, and we would recommend choosing a bead that’s 6-8mm in size. If you want to use half-drilled pearls you might need a Beadalon bead reamer tool to widen the hole of the pearl first.